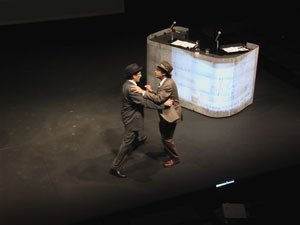 SECRET is a multimedia theatrical production that details the collision of three fascinating historical characters. It tells a little-known story of art, politics, race, and media power that reverberates with some of the most important themes of 20th-century America. It explores why this story has remained a “secret,” and suggests the consequences of such incomplete knowledge for American society. 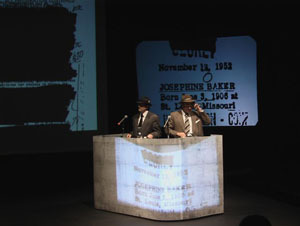 The story is culled from thousands of pages of the FBI files of Josephine Baker, Walter Winchell, and J. Edgar Hoover. 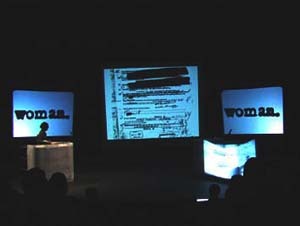 Fashioned out of “net accessible” documents, this mosaic makes theater and art out of a 1950’s surveillance data bank.